Beginning in January 2019, Haji Healing Salon will offer two, annual yoga and healing grants, for folks who apply for support in accessing our classes and services. If you are interested in helping to make our healing services accessible to those in need, please consider giving $50 or $100 toward the Haji Healing Grant. To make a difference and contribute to the wellness of those in our community who for various reasons are not able to access our services as often as they might like, choose to “pay it forward” by purchasing one or more yoga classes ($10), acupuncture treatments ($20) or 30-minute bodywork sessions ($35) to be gifted a member of our community. With monies donated here, we’ll fund micro scholarships for individual classes and services that anyone in need may access via promo code posted on our website and social media platforms.  Corporations who wish to sponsor a community day of healing, may donate at the $500 level and help us provide 20 free acupuncture appointments for community in need. After we receive your donation, we will advertise your sponsorship on our Sunday Sanctuary flyer. Because we must ALL be invested in the healing of the collective… Pay It Forward.